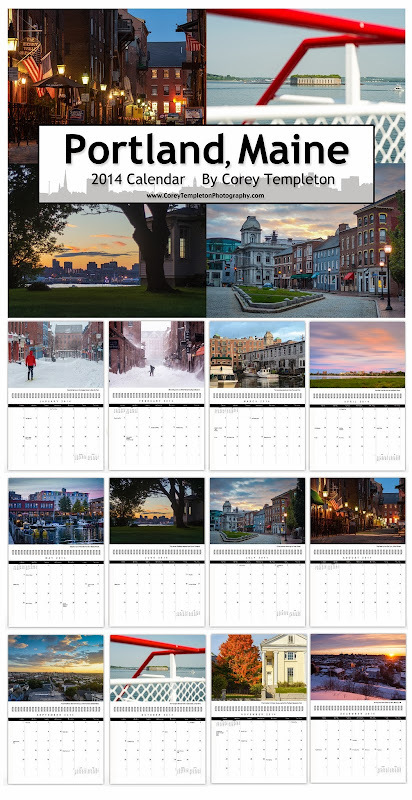 As announced yesterday on the Portland Daily Photo Facebook page, my 2014 calendar has been put together and is now officially for sale at the lower-than-last-year's price of just $20 (plus shipping)! It is currently only available online and here's a link to it. The profits from my calendar and the work at Corey Templeton Photography are invested back into my photography hobby so I can continue to keep sharing my photos with the world. Thank you to everyone for their support and continued visits to this site.